"This book has been in my library for the best part of 5 years and it continues to inspire and inform, especially when I need a little oomph when designing new forms or exploring new directions. Although the writing is excellent and the photos are of a comparable quality, it is more because Jo Connell is so authoritative, so knowledgeable in her tone that I always come away with an idea of what I should be doing in my work. Her glaze recipes are simple and wonderfully effective, such a difference to glaze recipes that look good on paper but rarely satisfy when you look into the kiln." This practical directory details a comprehensive range of decoration techniques, from processes at the raw clay stage (including textures, moulds and painting) to underglaze decoration, special glaze firings and alternative firing techniques. 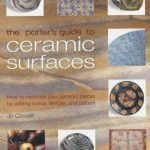 Designed for both the novice and the experience potter, this guide will inspire and encourage potters to explore new techniques and combine them in a fresh and creative way. Jo Connell has lectured in ceramics in schools and colleges for over 25 years and has run workshops in the UK, USA and France. Her love of travel, the countryside and the sea, together with a keen interest in ceramic history has inspired a sense of colour and pattern which have become the hallmark of her own decorative work. 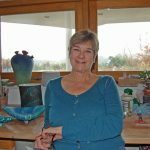 A professional member of the Craft Potters Association, she exhibits and sells her ceramics internationally and examples have appeared in many publications. She continues to explore other media such as glass, metal, photography and print. She has a long-established workshop and now makes ceramics as well as running courses at her home studio in Warwickshire. "I purchased this book about 5 years ago and I still refer to it. It has a vast amount of information about ceramic techniques. Anyone interested in ceramics would benefit from this book. I don't rate books 5 stars unless they are fantastic and this book definately deserves all 5 stars!" "I was in a ceramic book buying mood a while back and I think I bought about 3. I'm interested in textures and new methods of decorating. I thought this book was fantastic in supplying me with plenty of ideas to try and used many as a starting block for new techniques. It covers basic and modern techniques as well as other aspects of ceramics. 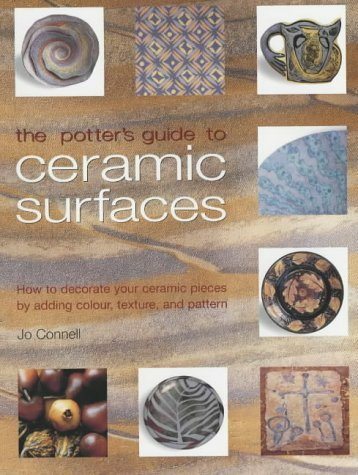 A must for those studying, interested or working in ceramics!" "This is an excellent book. Beautifully illustrated and inspirational because of that. I would have liked an expansion on the use of Oxides and stains. Have seen great items with this kind of decoration in shows but no idea how certain effects were acheived. This book is an excellent tool for the beginner and the experienced but can't encompass everything, I guess." "This is a book that is not afraid to mix traditional techniques with contemporary ideas. Good layout, with lots of images of up to date potters and ceramic artists. Good to see alternative firing techniques included as well. The first techniques book (and I have brought alot!) I am totally happy with." "I recently purchased this book, and took it into college to show my colleagues - it covers so many techniques, with clear, colour photos and shows a huge range of contemporary works to demonstrate different effects. I've since bought a further copy from Amazon at the request of the college, and now three other students have asked me to get the book for them next time I order from Amazon!! It's a great book to browse through on the sofa of an evening, and to inspire one to have a go at something new." 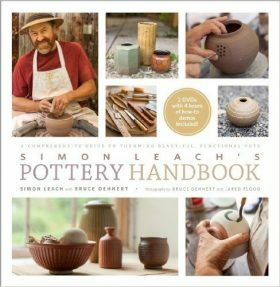 "Bought this book recently and would recommend it to anyone involved in ceramics. It gives clear, concise, up to date information on lots of ways to texture and decorate your work and great illustrations provide lots of inspiration. Well worth the money, the type of book you can revisit time and time again." 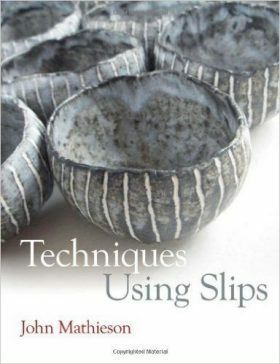 "I teach pottery and have found this book invaluable for ideas for my classes. The colour photos show the techniques very well and the text is easy to read. Projects can be used by beginners and the more experienced, thus giving a wide reading audience. I find that I can turn to this book when I'm stuck for ideas for my own work and need some inspiration. This is a book that has a long life, it can be visited over and over again."